The ninth consecutive year in the elite consisted of three different stages. The team started the year with Juande Ramos at the helm, his second time at the Club, full of excitement at the prospect of occupying the top part of the table, following the achievements of 8th and 9th position in previous campaigns, as well as a significant investment in terms of signings. 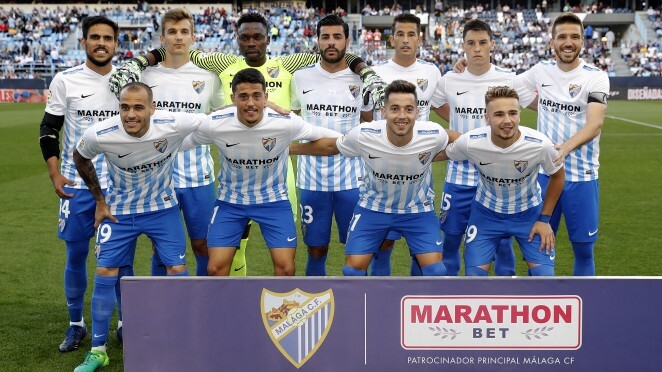 Following a thrilling pre-season – 10 victories and 2 draws out of 12 matches – the first part of the season was marked by the strength of La Rosaleda, thanks to various comebacks in the final stages of play. Up to five consecutive victories had one common denominator: Sandro scored in every win, capitalising the Blue and Whites’ attack with his goals. However, neither the football nor the results away from home satisfied a fan base who expected more from their team. Despite being in a comfortable position in the League table, the first turning point arrived with the early elimination from the Copa del Rey against Córdoba, and a drop in performance in the final part of the first round of the League competition. Juande stepped down from his position as coach, and a man of the house came forward as his replacement, Marcelo Romero. Under ‘Gato’s’ time as coach, a series of negative factors accompanied Málaga, and with the Uruguayan at the head, the team only won one match, at home, against UD Las Palmas. Incorrect refereeing decisions, bad luck in decisive moments and a style of football that did not earn points led to Romero ceasing to be coach on matchday 26 of the competition. This resulted in another change in the dugout, with the arrival of Míchel González. The charismatic Madrid-born manager touched the psychological and footballing fibre of the players, who were playing to avoid a struggle in the crucial final stage. Key to this was victory in Gijón by 0-1 with a Sandro goal, which liberated the team who went on to claim 6 out of 7 victories in the last 9 LaLiga games. 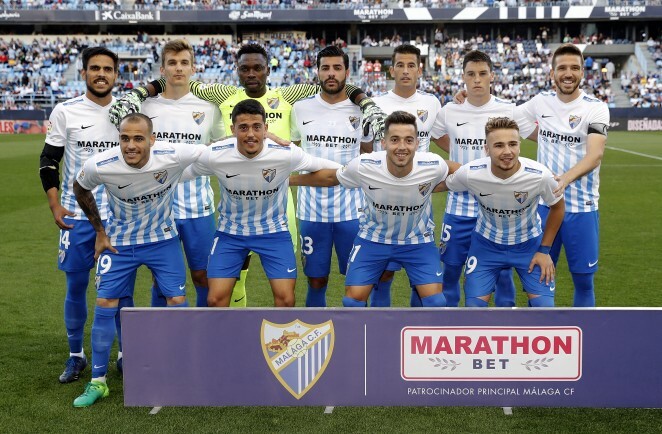 At Martiricos, Míchel’s Málaga dominated the likes of FC Barcelona, Valencia CF, Sevilla FC and Celta de Vigo with brilliant football based on efficiency in midfield, and solvency with Camacho, Recio and Fornals in charge of the operations. Homegrown players did their bit, with sparks from Ontiveros and appearances from En-Nesyri and Luis Muñoz. It was also a year of emotional goodbyes from Club icons, such as team captains Duda and Weligton – along with Demichelis – who ended a brilliant cycle at MCF. 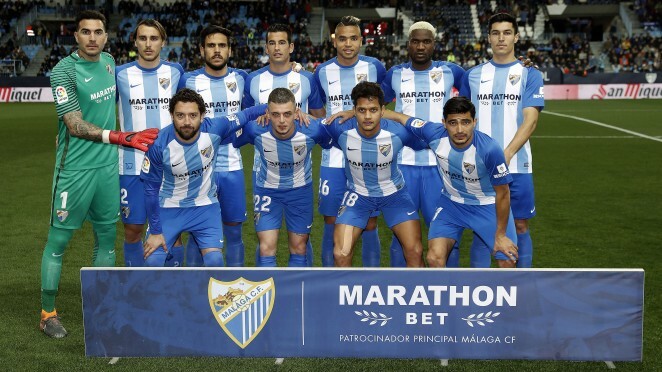 Málaga CF finished LaLiga Santander 2016/17 with 46 points in a comfortable 11th place. Sandro Ramírez was the Malaguista ‘pichichi’ scoring a total of 16 goals (14 in LaLiga and 2 in the Cup competition). Juande Ramos, Marcelo 'Gato' Romero and Míchel González (coaches), José Gómez, Sergio Pellicer and Juan Carlos Mandiá (coach assistants), Enrique Ruiz, Manu Gestoso and José Vallejo (physical trainers), Paco Ruiz (goalkeeping coach), Marcelo 'Gato' Romero, Weligton, Sergio Pellicer and Luis Martínez (technical assistants); Juan Carlos Pérez Frías and Vicente de la Varga (doctors), Marcelino Torrontegui (massease), Fernando Lacomba, Luis Barbado and Iván Medina (physiotherapists), Hugo Camarero (physical adaption trainer); Carlos López and Josemi (representatives) and Miguel Zambrana and Juan Carlos Salcedo (equipment managers). GOALKEEPERS: 1 Kameni, 13 Boyko and 27 Aarón. DEFENDERS: 2 Koné, 3 Weligton, 3 Demichelis, 4 Mikel, 5 Llorente, 15 Ricca, 18 Rosales, 23 Miguel Torres, 24 Luis Hernández and 29 Luis Muñoz. MIDFIELDERS: 6 Camacho, 7 Juankar, 10 Juanpi, 11 Chory Castro, 14 Recio, 17 Duda, 20 Keko, 21 Jony, 22 Kuzmanovic, 25 José Rodríguez, 31 Pablo Fornals and 39 Ontiveros. FORWARDS: 8 Michael Santos, 9 Charles, 16 Peñaranda, 19 Sandro and 26 En-Nesyri.